These are my people. You know that moment when you're with other similar souls and then your like- YES, we are the same. That's these two. 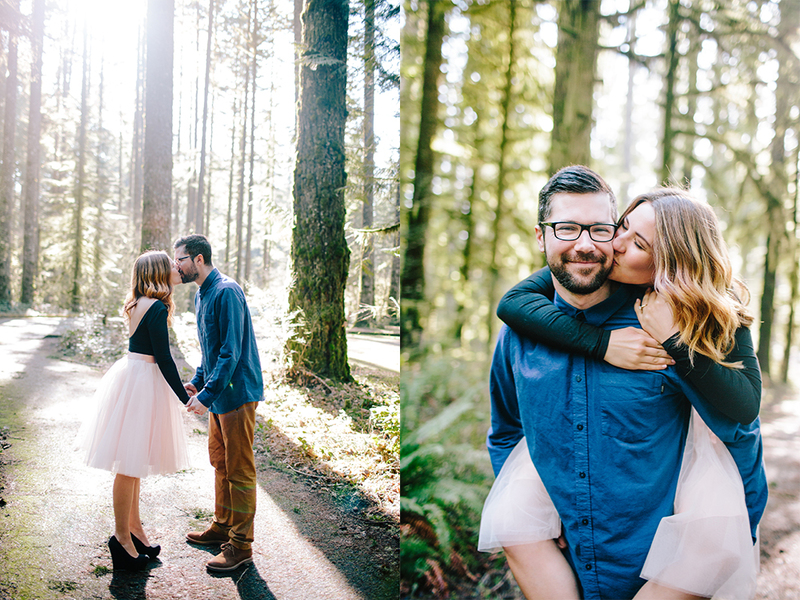 When they decided we should head out to Silver Falls Park in Oregon to do some engagement photos on a beautiful sunny weekend, I was like HECK. YES! 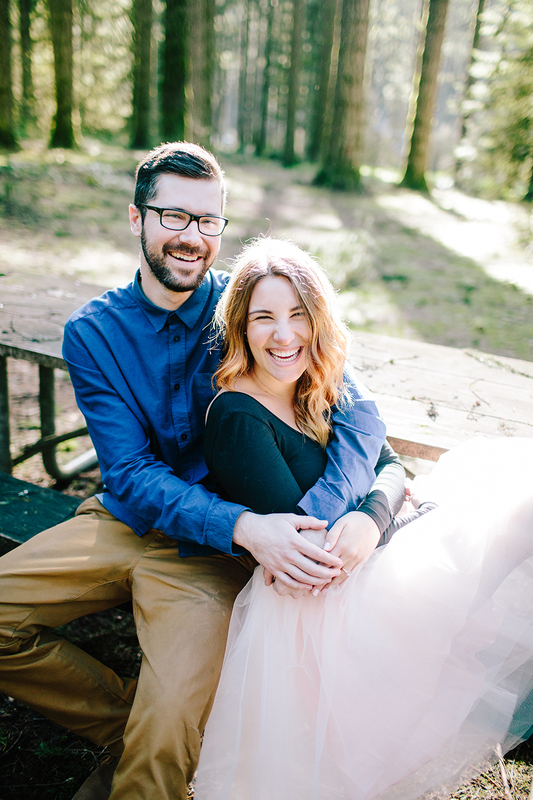 Megan and Seth live an adorable life where they get up, ride to work together, teach the beautiful minds of tiny children, then ride home together. There is something I just love about that. They also have an awesome cat named Franklin whom I almost shoved in my camera bag and brought back to Washington with me. Is that weird? Yes, yes it is. Aside from being the cutest couple at their elementary school and having a rad cat, they are ridiculously fun. I was constantly laughing and I was so in love with how in love they are. Thanks for allowing me to follow your beautiful faces around with a camera! 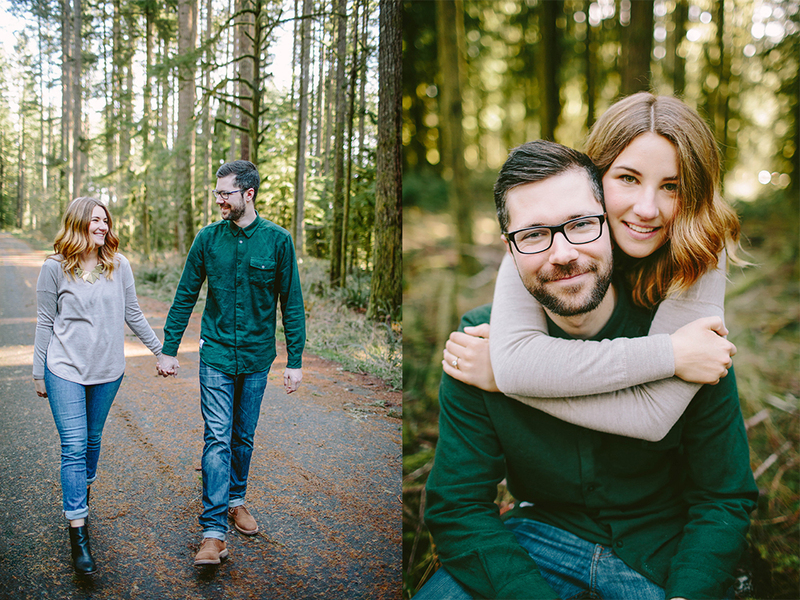 I have one more post coming with these two humans but it's so cute I had to give it it's own blog post- oh the suspense!